Jesus Malverde inspires an odd following; he's better known as the patron saint of narcos. He's also fairly popular in Sinaloa, a state notorious for narcotics trafficking, but lately he's been creeping into the country's broader popular culture. In Mexico City's trendy Condesa neighborhood, a bar named for the unofficial saint opened recently. 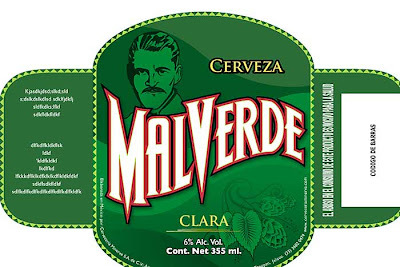 And now Cerveceria Minerva, a Zapopan-based microbrewery just registered the label: Malverde. There's nothing like cashing in on the cachet of a notorious figure, something Minerva's head brewer acknowledged in an interview with the Mural newspaper. Cerveceria Minervia makes great craft beer - something rare in Mexico, where the big two breweries have a stranglehold on the market and hawk rather watery suds. 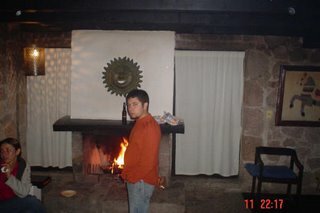 Thus, this offering should be good - even if the name is a bit naco. And, if the label is correct, 6% alcohol makes it the strongest, most alcoholic beer in México. I'm surprised, as I have always thought that beer in México had to be LESS than 6% alcohol. Definitely a beer for hard-drinking, would-be narcotraficantes!